O.M-R. – As JFK’s 100th birth anniversary is celebrated, many Europeans want to see newly elected French President Emmanuel Macron as Europe’s President Kennedy. He is certainly not the first young European leader in recent years –we may think of Renzi in Italy or Tsipras in Greece– but, as most analysts point out, President Macron incarnates the last espoir for Europe. What has been less noted is that he is perhaps also the last hope for Generation X to leave a mark in history with a halo of youth. Particularly slow in its coming of age, Gen X’s formative years span the fall of the Berlin Wall and September 11. This is a generation that was hardly hit by the Great Recession and subsequent austerity policies just as many of its members were finally settling down in work and looking to build a family. At the same time, it is probably Generation X, which benefited the most from European integration. Those born, like Macron (and myself), between the early sixties and late seventies grew up with a functioning Europe. We benefitted from programmes and facilities funded with European money such as Erasmus study exchanges and stipends, Interrail passes to travel cheap and freely across the continent, and sometimes found our first job in another European country. We, who have also been labelled the Erasmus generation, know that the European Union can be more than dry bureaucratic rhetoric and stifling economic measures, and yet have seemingly lacked the political vigour and determination to defend it. Emmanuel Macron. OFFICIAL LEWEB PHOTOS (Wikimedia Commons). Prevented from accessing leadership posts because of baby boomers’ unprecedented longevity and reluctance to pass on the baton, across most of Europe and especially in its south, X-ers have become used to junior roles. The median average age of company board members in Europe is 60. Unintendedly, Macron provides a new role model for our generation, different from that embodied by other young political leaders emerging from the indignation and anti-system movements. Formed by and within the establishment, this is a man who has leapfrogged through personal and professional life successfully, and says he is determined to reform the system from within by privileging results over ideology. In an aging continent, however, youth does not tend to be rewarded in politics. With average French voter’s age at 50 it is perhaps no surprise that older, more experienced candidates are considered safer assets than young and dynamic ones. Youth has something of sinful in the European collective unconscious as witnessed in literature and mythology. Succeeding at an early age like Macron is a cause of distrust as in Wilde’s portrait of Dorian Gray. Deep down there is always the suspicion that a thriving young individual has sold his or her soul to the devil. Macron’s strategy of ideological checks and balances has therefore its counterpart in a generational checks and balances: his first government includes 22 ministers and secretaries of state whose age ranges 33 to 69 years with more grey-headed members than not. His wife Brigitte, 24 years his senior, is also expected to lend additional gravity to the presidential couple. Macron is an exception –an enfant prodige more than an enfant terrible– in contemporary French politics. To philosopher Régis Debray, his success and the wave of macronism that seizes the country reflect a certain Americanization of French social and political life. According to the philosopher, it is also a momentary triumph of the Protestant mentality, which, although often forgotten, is also part of the French tradition. Macron’s stern self-confidence, his belief in individual responsibility, resonate with the Anglo-Saxon model, which many French admire but does not sit well with a substantial portion of French society who firmly believes in a state that protects its most vulnerable members unconditionally. 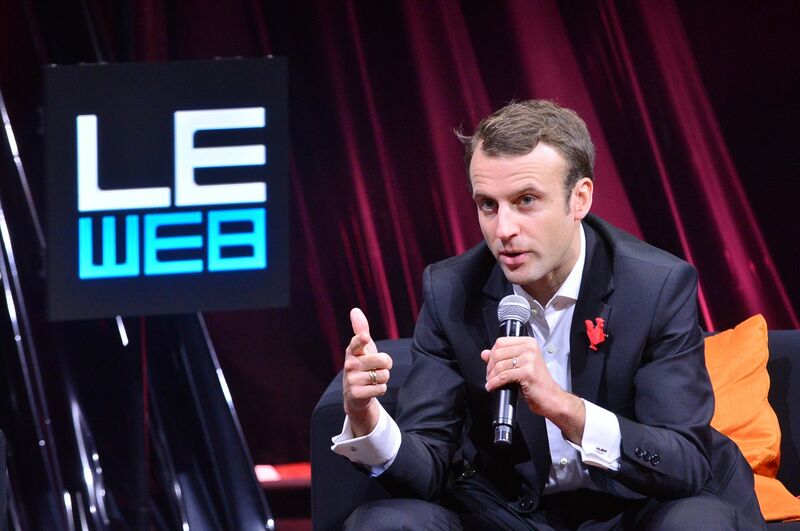 Macron may be a role model to X-ers because of his age, although, paradoxically, his discourse resonates more with, on the one hand, baby boomers and the silent generation, nostalgic of De Gaulle and the post-war consensus; and, on the other, millennials who do not believe in traditional ideologies and party systems. As it turns out, voters in age group 35-49 showed the lowest support for Macron in the second round of the presidential election. But Macron stirs expectations beyond France. Many Europeans desperately want to believe in someone who says he is determined to rescue Europe from its impasse, or at least restore the perception that the European project is not dead. As it struggles to leave an imprint before millennials take over, X-ers, in turn, need an inspiring epic, a hero to emulate. Generation X will soon not be considered young, and yet one of Macron’s first heroic deeds is to be the youngest president of the French Republic. (His second might be his clenched handshake with President Trump during their first encounter in Brussels.) Macron shows there is still some hope for Generation X to get over the complex that boomers have left us with by systematically reminding us that they changed the world in 1968 – something, apparently, we have not been able to do so far. A version in Spanish of this article was published in El Huffington Post on 5 June 2017.